Guided meditations to cleanse one’s body, speech and mind. Posture and breathing meditation to start, followed by an informal discussion. The main meditation harmonises and purifies our inner experience of body, speech and mind, and can direct our entire day in a positive manner. The visualizations harmonise and purify self-image. 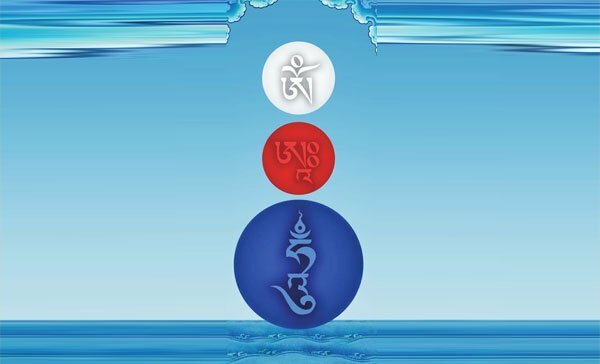 They work on the subtle energy levels, using simple yet effective visualisation and chanting to cleanse and energise our chakras (energy centres). This meditation can directs our entire day in a positive manner. What what we do becomes of benefit and doesn’t harm, what we say is useful and people listen to us, and our positive attitudes become stronger and clearer. This practice is useful whether you are a Buddhist or not, religious or not. No need to book, just come along.